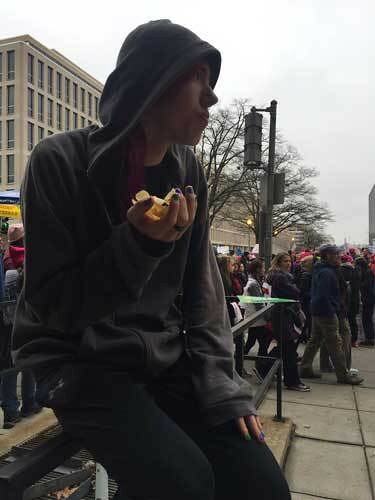 Just like so many of you, I went to the Women's March on Washington today. What an amazing thing. People marched all over the world. The magnitude of the marches was incredible. I am so proud of protestors for standing up for what they believe. 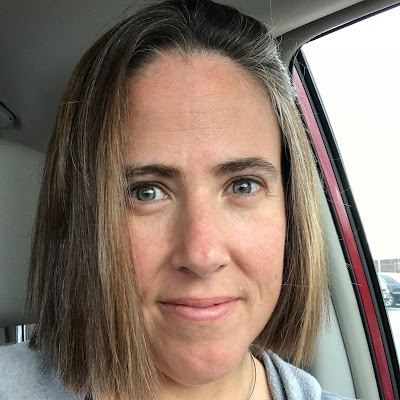 It was a joy to see all my friends on my Facebook feed and their photos of the march or their messages of solidarity for those of us who were able to go. Fortunately, I found a couple of good people to go with: Sam and my friend Sunday. We were going to try to meet some other friends, but it was completely impossible to get anywhere there. By 9 am, we'd wormed our way up to the side front of the crowd, but then discovered that our friends were (of course) on the opposite side of the street. 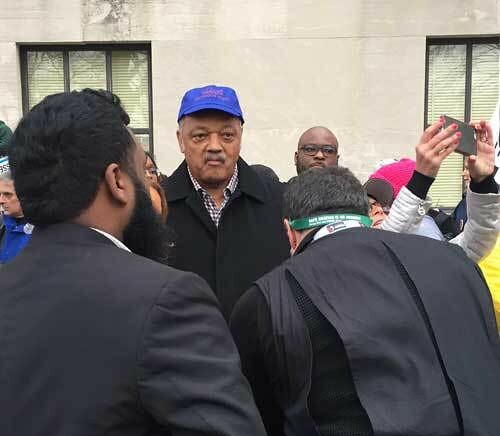 We did see Jesse Jackson though. Sam: “Who’s Jesse Jackson?” Urgh. I needs to do some edumacating. Once we got home I gave Sam an assignment to research both Jackson and Gloria Steinem before Monday. The three of us spent a lot of time wandering around through the crowd. We saw a lot of great signs. We saw so many beautiful people. We witnessed nothing but courtesy and friendliness. We were able to hear some of the speeches, but there were so many people there that it was difficult to see the big screens or hear. We did not, however, see food. At some point I realized that I had my child with me and I should feed him and also, maybe more importantly, feed myself because I was hungry too. We then began to wander with a little more direction. Unfortunately when there are so many people crammed together, there is no food without big lines. Eventually we found a CVS and made up a lunch of potato chips, cheese sticks, nuts, and candy. We spent some more time walking around and talking. After standing in the cold for so long, it was starting to get chilly. I had told Sam to wear a coat, but he insisted that his sweatshirt over his t-shirt would be fine. I tried to insist, but he was having none of it. I bear hugged him for a long time to keep him warm but then he finally took me up on my offer to trade his tiny, thin sweatshirt for my awesome, warm coat. At some point after one, we began to look for a bathroom. 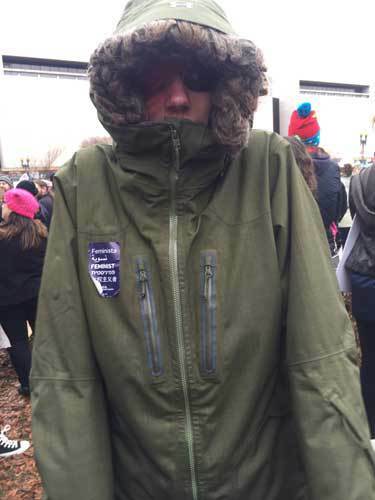 Because it was, you know, a women's march, there were like 15 porta potties and a thousand people in line for each of them. Our trek led us near our Metro station and since we were pretty tired by then and Sam was definitely ready to go home, we decided to head out. 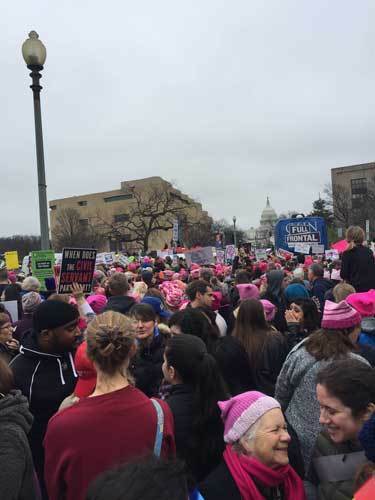 We didn't know it at the time, but there were rumors that there were so many people at the march that there was no longer any room for an actual, formal march. I think people might have marched later, but we were there until 1:30 or so and although there were definitely people marching off the published route, the main march hadn't started. It was absolutely exhausting, but I am so glad we went. Thanks to Sunday for letting Sam and me tag along at the last minute. We all know that one protest march isn't the answer. There is a lot of real and tangible work to be done. But it is a powerful symbol. And today was powerful indeed. It's a start. It's a balm for our souls, after the devastation of knowing that so many people in this country are perfectly okay with misogyny, racism, the abasement of people who are different, and hate. It's knowing that we're not alone, no matter how many people call us snowflakes or libtards or losers. It's knowing we outnumber him. It's connecting to groups that will help us keep up our energy to fight every day. Thanks my dear friend. Wish I'd gone to D.C., but we were together today, still. This is wonderful. Hi Sunday! Love your hat! Like you, I thought it sounded like my worst nightmare. But then I was all like, "Wait, the whole point is there are MUCH WORSE nightmares than this and that's why we're going." Earplugs helped a bit, as did knowing that so many people I like and respect were scattered in that crowd, even if there was no way I would ever see them. 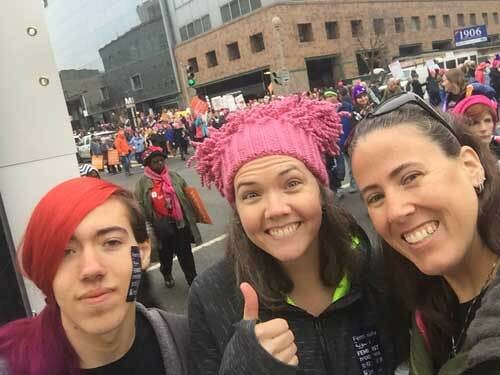 (Also, my 13 year old son looked awesome in a pink pussyhat.) Glad you made it there and made it through! So proud of y'all for going. I hope the resistance only intensifies and he is soon forced out while the racist, bigoted, clueless people who supported him are forced into the shadows. Thank you for going, and representing those of us in other countries who are very concerned. Education is the key to solving the problem of ignorance. Your blog has been important to me.